From a young age, Chef Nyesha J. Arrington found herself in the kitchen alongside her Korean grandmother, Ai-Soon Lee, who introduced her to a world of diverse foods. A graduate of the prestigious Culinary School at the Art Institute of California in Los Angeles in 2001, Arrington is known to integrate these global flavors and techniques using farm fresh, locally, and responsibly sourced ingredients. In her career, Arrington has worked under acclaimed chefs such as Josiah Citrin of the acclaimed 2 Michelin Star Mélisse restaurant in Santa Monica, and legendary French chef Joël Robuchon at his Michelin and Mobil award-winning Las Vegas restaurants, L'Atelier and The Mansion. During Arrington's tenure as Executive Chef at Wilshire restaurant in Santa Monica from 2011-2013, she was named a "Rising Star" by Brad Johnson, then the restaurant critic of Angeleno. In 2012, Arrington was recognized by Zagat in their "30 Under 30" list and profiled in LA Weekly's People Issue as one of the most 69 interesting individuals to watch. Nyesha has also appeared on popular reality cooking shows, including Bravo TV's Top Chef, Esquire Network's Knife Fight, and Food Network's series Chef Hunter. Most recently, Arrington helmed the kitchen of Leona in Venice, CA, and opened her sophomore project, NATIVE, in November 2017, located in the heart of Santa Monica. 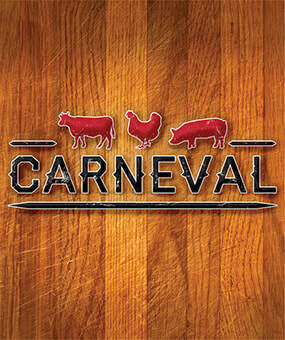 This tasting event showcases 18 world-renowned chefs to dish up their takes on all things meat.